Guys, I'm not ready for tomorrow to be September. I'm not ready for Summer to leave. I'm NOT ready for it to be fall. Ugh! Because I'm not ready, I'm going to just keep throwing on neons and hoping that people will understand my need for summer to stay longer. I think I pulled out all the neons I could find for this look. The list includes China Glaze Point Me To The Party (glitter), China Glaze Flip Flop Fantasy (pink/coral), China Glaze Plurple, China Glaze I'm With The Lifeguard (green), China Glaze Celtic Sun (yellow), China Glaze Sun Worshiper (orange), and China Glaze DJ Blue My Mind. The white is OPI Alpine Snow and I used What's Up Nails X Shields for the patterns. So what do you think, is it eye-searingly bright enough? Tomorrow marks the first day of September. Is anyone partaking in the 31 Day challenge? I'm going to be attempting it for the second time! This is a fabulous last summer hurrah! 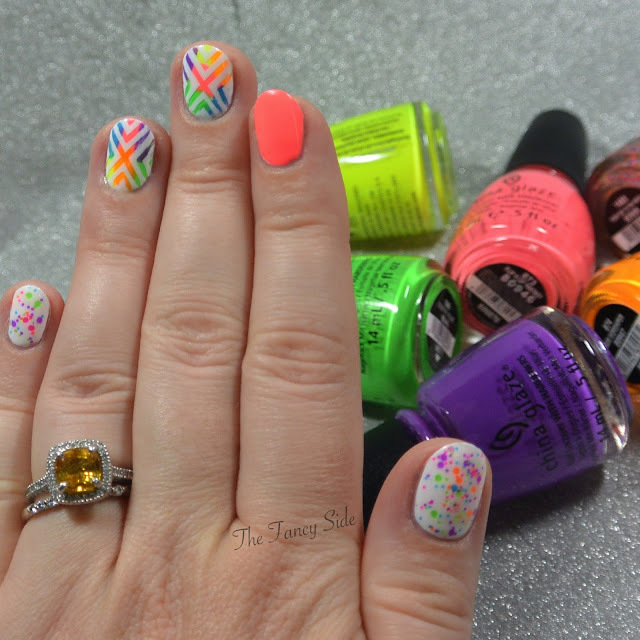 China glaze makes such awesome neons and this mani is so fun! 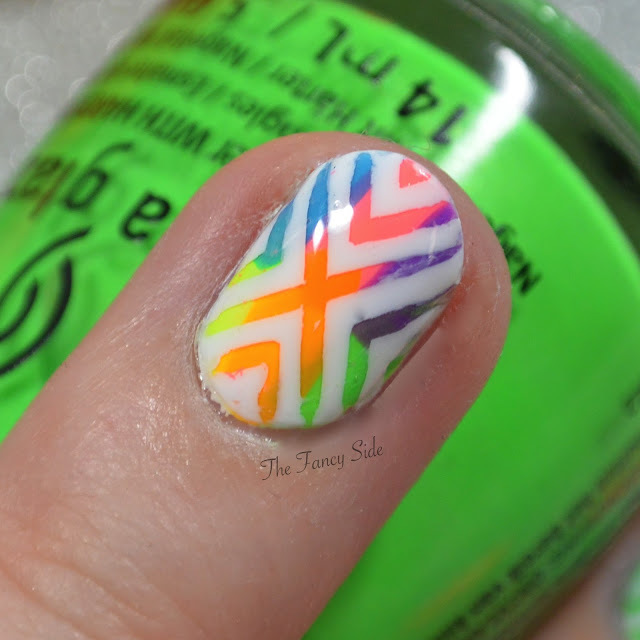 I love neons all year long! These are very pretty! So glad to see your nails again - your nail art is lovely as ever! I dunno...I don't think it is bright enough.